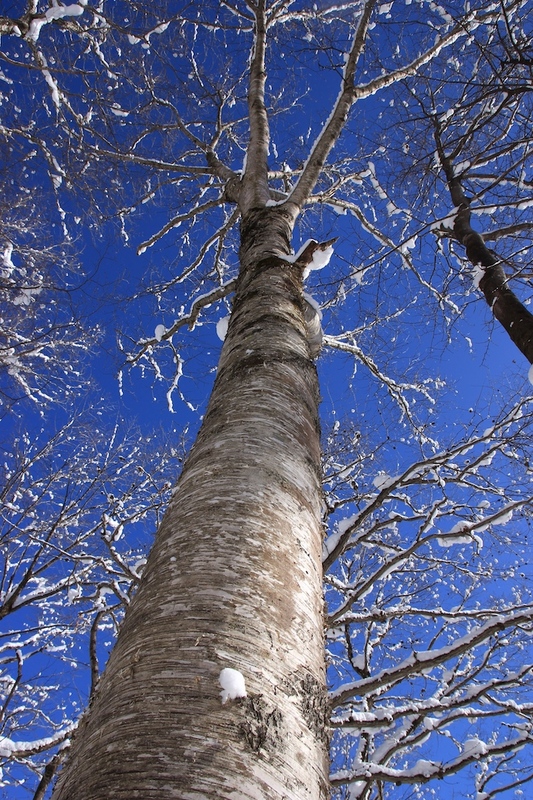 In our woods here in Nagano we have both silver birch (shirakaba) and the monarch birch (udaikamba). Udaikamba is native to Japan and considered a rare tree abroad, so I’ll use the Japanese name. Udaikamba can grow further north and at a higher elevation than the silver birch so our Afan woods are on the border. Udaikamba is common in Hokkaido and northern Honshu. It can grow to be a big tree, reaching 20 to 30 metres in height. Its leaves are bigger and longer than other birches. When young they are downy but mature into a glabrous green. In early spring there are both male and female catkins. Until I came to Japan this was one of the many trees that I didn’t know, and at first I tended to confuse it with silver birch. The bark of young udaikamba trees is smooth and bronze in colour, but similar to silver birch the maturing tree has white bark, although the bark is more grey and coarser. In autumn the bigger trees especially are very showy, a mass of bright, fluttering yellow foliage. Abroad it is planted as a landscape or lawn tree. In English ‘monarch birch’ is certainly a grand name! King and queen of trees! In the summer it gives a gentle shade, allowing grass and flowers to grow. The bark is considered to be attractive, as are its autumn colours. 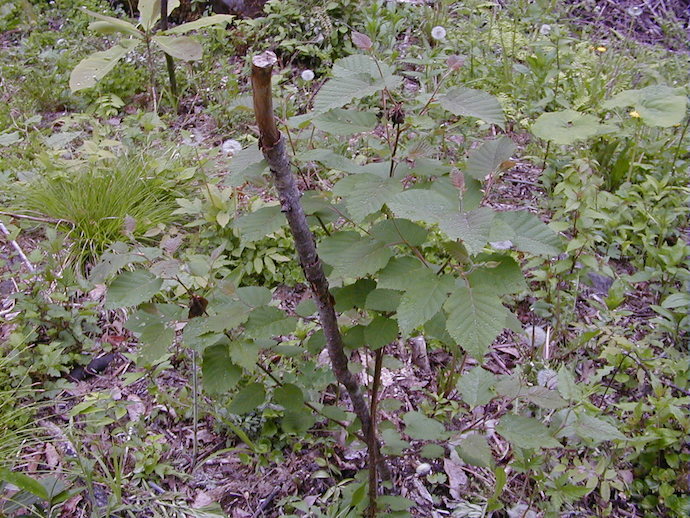 Udaikamba is also more resistant to an insect borer that attacks other birch and can kill them. We use it as firewood, especially to start up a fire because it burns quickly and brightly and can get harder, slower woods to burn well. Like the outer bark of silver birch you can peel some off a living tree and use it to start a campfire in difficult conditions like rain or snow, because the bark contains a very flammable oil. Japan has patented a method whereby udaikamba timber can be used in making strong and durable laminated wood, and I was told that the wood is also used as a veneer for the making of pianos.